Harvard: Fairness or "Diversity" ? The ex-President still favors "Diversity"
Let's let her know if you disagree. Below is the letter she sent out - But she makes available no place to respond. In the weeks and months ahead, a lawsuit aimed to compromise Harvard’s ability to compose a diverse student body will move forward in the courts and in the media. As the case proceeds, an organization called Students for Fair Admissions—formed in part to oppose Harvard’s commitment to diversity—will seek to paint an unfamiliar and inaccurate image of our community and our admissions processes, including by raising allegations of discrimination against Asian-American applicants to Harvard College. These claims will rely on misleading, selectively presented data taken out of context. Their intent is to question the integrity of the undergraduate admissions process and to advance a divisive agenda. Please see here for more information about the case.
" I am committed to ensuring that veritas will prevail. " So am I, Dr Faust, so am I ! Is there "discrimination against Asian-American applicants to Harvard College" ? Another thing to look for is whether the admissions policies favors Jewish Americans, at the expense of European Americans. These practices have been going on for Decades, and it is time they were discussed intelligently, instead of favored minority groups just being given "a Free Pass"
How much diversity on the Other Side ... Top Successes? This tells us a lot about the age and intelligence of those doing the voting. Not many non-Democrats here. So we should be able to guess the pollsters' politics too. BTW, Obama was at Harvard LAW School (allegedly), not at Harvard college. BEN Shapiro got a degree at Harvard Law school. The Department of African and African American Studies brings together scholars and scholarship from many disciplines to explore the histories, societies, and cultures of African and African-descended people. The field of African and African American Studies is not only interdisciplinary but also comparative and cross-cultural. The Department of African and African American Studies offers a doctoral degree in African and African American studies, which identifies synergies in theory, concept and method across the African Diaspora. Given shared concerns around race, racism, slavery, colonialism, post-colonialism, modernity and other conceptual apparatuses for understanding Africa and the Americas, students are encouraged to think robustly about the similarities, differences and linkages within the African Diaspora. The program affords rigorous interdisciplinary training in the humanities and the social sciences, with a focus in a disciplinary field, leading to the PhD. Nearly all PhD recipients have secured academic or professional careers in a variety of departments in universities throughout the nation. They can be found in American studies, African and African American studies, English, history, history and literature, music, political science, religion, social studies, and women’s studies. They also make substantial contributions to society through careers outside of the academy. 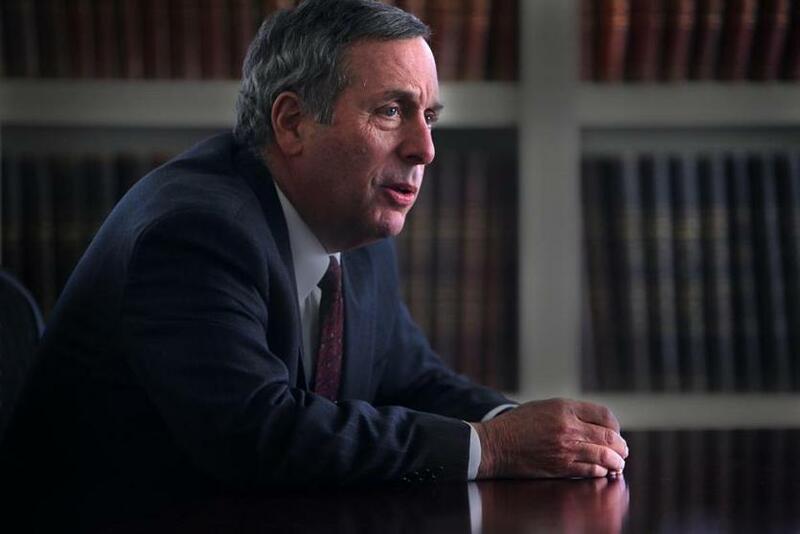 Lawrence Bacow takes over as Harvard University’s 29th president this month. Lawrence Bacow has a new vision for Harvard University and it will take him all the way to . . . Michigan. Bacow, who becomes the Ivy League institution’s 29th president this month, is out to shed Harvard’s image as a Northeast enclave for the country’s elite, in the age of President Trump’s muscular populism. In a bid to win over middle America, Bacow is venturing into Trump country and plans to visit Pontiac, Mich., a once-thriving automobile city that has fallen on hard times. Bacow, who grew up in Pontiac, plans to announce that Harvard will collaborate with schools and other institutions in that community. This can only be good. Towards the end of this, we hear about "good and bad diversity"
A report from Fox News claims that some Ivy League universities are doubling down on their affirmative action policies after receiving a “Dear Colleague” letter from Secretary of Education Betsy DeVos that requested they stop using race in university admissions. The continued use of race in university admissions practices put their federal funding at risk. Both Harvard and Yale claim that they are simply exercising a right that was set out by the Supreme Court. Several Supreme Court cases have concluded that universities are free to use race as a factor in admissions processes as long as they don’t establish racial quotas. “Harvard will continue to vigorously defend its right, and that of all colleges and universities, to consider race as one factor among many in college admissions, which has been upheld by the Supreme Court for more than 40 years,” Harvard spokesperson Rachael Dane said in a comment. Recently, it was discovered that Harvard University was giving low “personal ratings” to asian applicants recruiters had never met or spoken to. Does a male have to be Transgender to join "the sisters"? Delta Gamma became the first single-gender Harvard University group to shut its doors, citing penalties the school has introduced for groups that only admit members belonging to one gender. The national Delta Gamma chapter announced the Harvard chapter’s decision to disband in a Thursday press release published Sunday in The Harvard Crimson. Delta Gamma is the first single-gender group at Harvard to close because of the new policy, but other groups have modified their membership to conform to the administration’s will. The school’s Kappa Alpha Theta sorority announced in July that it would cut ties from its national chapter and rebrand as a gender-neutral Theta Zeta Xi chapter. Former fraternities Alpha Epsilon Phi and Kappa Sigma became co-ed in fall 2017. The number of Harvard students rushing sororities grew from around 250 in 2012 to 286 in 2017, however, it fell to about 100 in 2018. My Goodness, what are you teaching now, Grievance Studies? 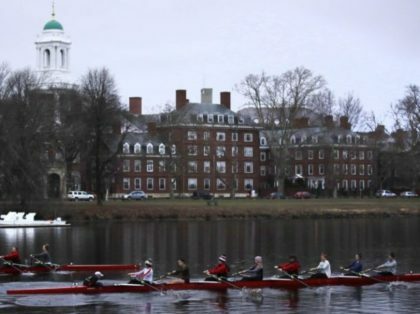 As I am sure many of you are aware, the University is being challenged in a lawsuit that alleges discrimination in Harvard College’s admissions policy. The case will go to trial next week, and I write today to share some thoughts with you. Let me be unequivocal: The College’s admissions process does not discriminate against anybody. I am confident the evidence presented at trial will establish that fact. The Supreme Court has twice ruled on this issue and has held up our admissions process as an exemplar of how, in seeking to achieve a diverse student body, race may enter the process as one factor among many in consideration. During the trial, the plaintiff is likely to make provocative assertions that will receive public attention and cause some to question our admissions practices. I want all of you to know that each Harvard College student is admitted affirmatively. Each student brings something special to our community and contributes to our rich learning environment in a way that is unique. 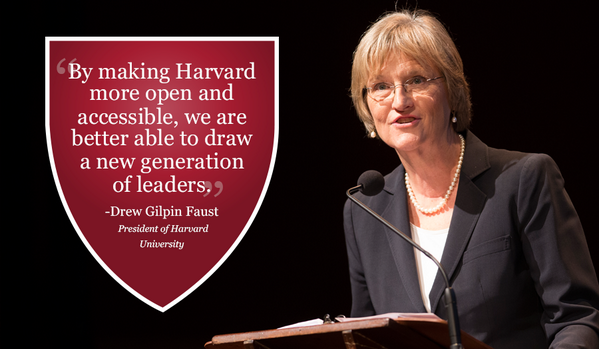 Harvard would be a dull place—and not likely achieve the educational aspirations we have for our students—if we shared the same backgrounds, interests, experiences, and expectations for ourselves. At the same time, this lawsuit has the potential to create divisions on our campus and in our broader alumni community. Reasonable people may have different views, and I respect the diversity of opinion that this case may generate. I would hope all of us recognize, however, that we are members of one community—and will continue to be so long after this trial is in the rearview mirror. What kind of community we will be, however, will be determined by how we treat each other over the next few weeks. As I said in my inaugural address, we must be quick to understand and slow to judge. I hope we will approach one another with mutual respect and consider all points of view, not just during the trial but also beyond it. Every day on our campus provides countless opportunities to learn—both from the vast intellectual resources at our disposal and from those we encounter who make this community special. We have and will continue to embrace and celebrate diversity in every possible dimension. A lawsuit accusing Harvard University of discriminating against Asian-American applicants is slated to go to trial Monday. 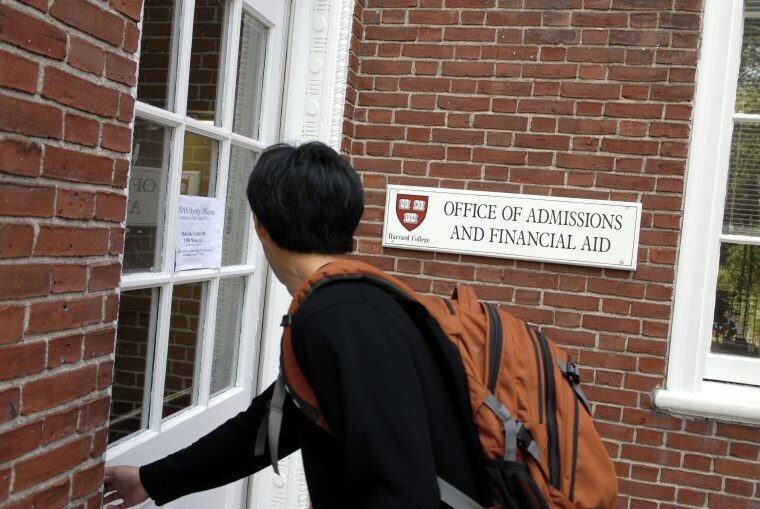 BOSTON — A lawsuit challenging the use of race as a factor in U.S. college admissions will go to trial in Boston on Monday, when Harvard University is scheduled to face accusations that it discriminates against Asian-American applicants.
. . . 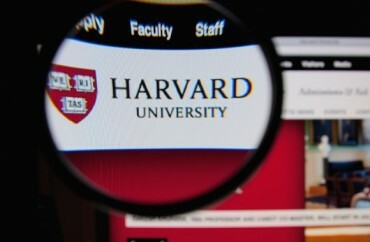 The U.S. Justice Department, which launched a related probe of Harvard after Republican President Donald Trump’s election, has backed the group, saying the Cambridge, Massachusetts, university has not seriously considered alternative, race-neutral approaches to admissions.
. . . Harvard denies discriminating against Asian Americans, saying their rates of admission have grown significantly since 2010. Asian-Americans, who represent about 6 percent of the U.S. population, make up 23 percent of Harvard’s current freshman class. The logic behind Democratic Sen. Elizabeth Warren’s claim to be a Native American is “fatal” to the policy of affirmative action, contends Powerline blogger John Hinderaker. Warren revived the controversy over her claim to have Native American blood with her announcement Monday of “proof” through an analysis of DNA. The conclusion by a Stanford professor, however, found she may be as little as 1/1024th Native American. Then again, Hinderaker pointed out, she might not be at all, because there is so little Native American DNA in the database that several Latin American countries, including Mexico, are used as proxies. The gist of the case is straightforward. Asian-American students with high grades and excellent scores on standardized tests claim that they were denied admission while students with lower grades and scores got in. In response, Harvard asserts that grades and scores are not the only factors it considers in admissions, but rather that the university conducts a “holistic” review of each applicant. (Asian-American students make up about twenty-three per cent of the class of 2022. African-Americans constitute about fifteen per cent, and Latinos twelve. Students of all other races, most of whom are white, account for fifty per cent.) Harvard acknowledges that, as it makes its admission decisions, it does so with an eye for academic excellence but also for diversity—including race, among other factors—to create the best learning environment for its students. This is Blum’s real target: the consideration of race in any decision by a university or a government. “Most Americans don’t want race to be part of your application to college,” Blum told the Times. “They don’t want the police to use race as a profiling tool to prevent crime. They don’t want prosecutors to use race in the makeup of a jury. 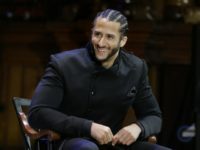 Your race and your ethnicity should not be something used to help you or harm you in your life’s endeavors.” Some observers, including my colleague Jeannie Suk Gersen, have written that the case is aimed only at remedying discrimination against Asians, but I think that the stakes are higher. As Blum has acknowledged, he’s out to end affirmative action—and all considerations of race—in all circumstances. Whom are they trying to fool? Having a person with more dark pigment & lower SAT scores sitting next to you in a classroom is NO GIFT! How could it be? It is a gift to the high tone, robbing the guy with higher scores and less melanonin who did NOT get in! THE POINT of the Point adjustment was... ? If you’re white, the American Civil Liberties Union (ACLU) wants to see you wiped off the face of the planet – and it’s willing to trample all over Asian-Americans in order to make it happen. And just what is this lawsuit all about? It has to do with Harvard’s discriminatory policies against Asian-American students, who tend to excel in academics. And just what does a lawsuit pertaining to Asians have to do with white people? Everything, according to the ACLU, which has made it a top priority to suppress white people and keep them from succeeding at anything – at the expense of Asians, if necessary.
. . . Nowhere to be found on the ACLU’s Twitter feed are any of the countless examples of hate crimes committed by black people against White people (see what we did there?). One horrific example was the gruesome murder of white couple Channon Christian and Christopher Newsom by a pack of rabid black thugs. Last we checked, the ACLU never covered this deeply disturbing story, which was similarly ignored by all national mainstream “news” outlets because it doesn’t fit the leftist narrative that all white people are evil criminals, and all black people are innocent victims. It’s selective reporting designed to push a racist, anti-white agenda, which the ACLU has now fully embraced as well. Keep in mind that the ACLU openly admits that its purpose no longer has anything to do with civil liberties, and everything to do with “social justice,” aka vilifying white people and worshiping all non-white people. 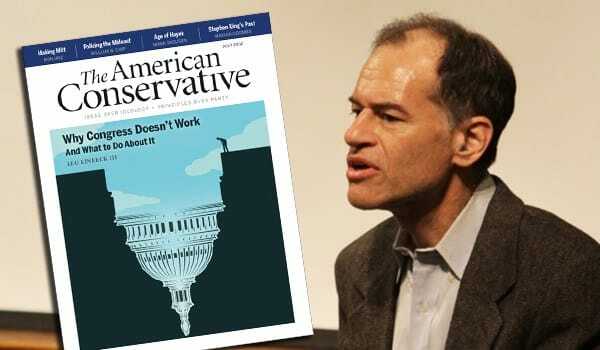 Patrick Slattery does a deep dive into Ron Unz’s new article on Jewish privilege and anti-white discrimination at Harvard and other elite universities. Then he talks to callers about the implications of the article for our understanding of Jewish power. "Unz more into the breech, Dear Friends..."
Undergraduates at Harvard University recently formed a council of mixed-race students, the first of its kind on the historic campus. Since beginning recruitment last week, the Union of Mixed Students “has attracted plenty of immediate interest, and its membership list now includes more than 100 students.” The group founders “want the organization to serve as an inclusive space for all identities shaped by the needs and ideas of its members,” The Harvard Crimson reports. [Founder Iris] Feldman said she was motivated to create the union to provide a space for people who felt their identity did not fall into just one of Harvard’s cultural organizations.